This past week my school took part in a wonderful event. Our students participated in a “Not Perfect Hat Day.” The idea behind the event is to promote the uniqueness of the individual. It focused on the premise that perfection is unattainable. The only thing we have to be perfect at is being ourselves. As happy as I am that this had a profound impact on my child, I can’t help but be disappointed at something else. The founders of the Not Perfect Hat Club helped us promote this event. They were tremendous at getting us ready, Skyping with our students, and sending out information to the media. Just about every major media in the state of North Dakota was informed in one-way shape or form about this event. On the day of the event, just one news organization came to cover it. I want to personally thank the Jamestown Sun for coming out and promoting something positive. We did not do this to gain attention, rather we did it raise awareness and promote individuality. We simply intended to promote a positive message to our students. But it completely saddens me that we seem to have things backwards in society. The media should flock to something positive. I’ve said this before, and I will say it again. “The world is a great place.” We must train ourselves to see the positives, promote the positives, embrace the positives, and mimic the positives. Positive news will yield happier people. Happier people will then yield healthier people. It’s actually quite simple. Does negative news have its place? Absolutely. Should we hear about it? If it contains information for our well-being, yes of course. But we need to shift the focus? We need to start catching people being good, and then we need spread it all around. I honestly believe we the world is great. I also believe that it can be better. I believe that todays children will have a big impact on society. This is precisely why it is my duty as an educator to promote the uniqueness of every child. Every child that comes through our doors is great at something, and has the ability to impact this world in a positive way. But we shouldn’t have to go to school everyday and remind students that the world is great. They should know it. They should see it. They should live it. They should be constantly reminded of it through a variety of different mediums. A couple of challenges for you as you embark on your journey through life. Be a change agent. 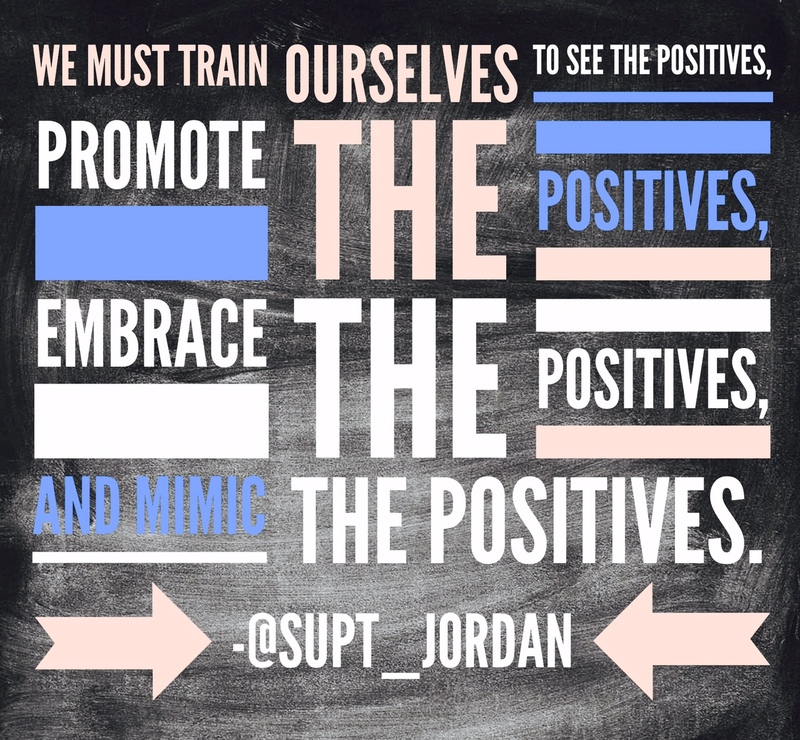 Focus on positives and promote them. If you see somebody doing good shout it out. Shout it out so loud that everyone hears it and sees it. Tweet about it. Blog about it. Lets spread the positive, continue to learn from the negative and embrace this wonderful world in which we live. Are you with me? I couldn’t hear you. Are you with me? Still couldn’t, but I will bank on the idea that you are. Jump on the positivity train with me and lets start tooting the horn on the good. Here is your first good… the Yankees currently lead the Red Sox 10-4. Sure puts a smile on my face. You can learn more about the Not Perfect Hat Club and what it means to not be perfect by reading “The Not Perfect Blog Post” on my blog page.